A new year signifies a new, clean slate. Whatever plan it is that you have been going back and forth about – be it a fitness plan, getting full eight hours of sleep every night, or forming healthy eating habits, now’s the time to kick it into full gear! Tricks like incorporating veggies into your breakfasts and snacking on fruits everyday are some easy ways to upgrade the healthy eating habits you might already have. 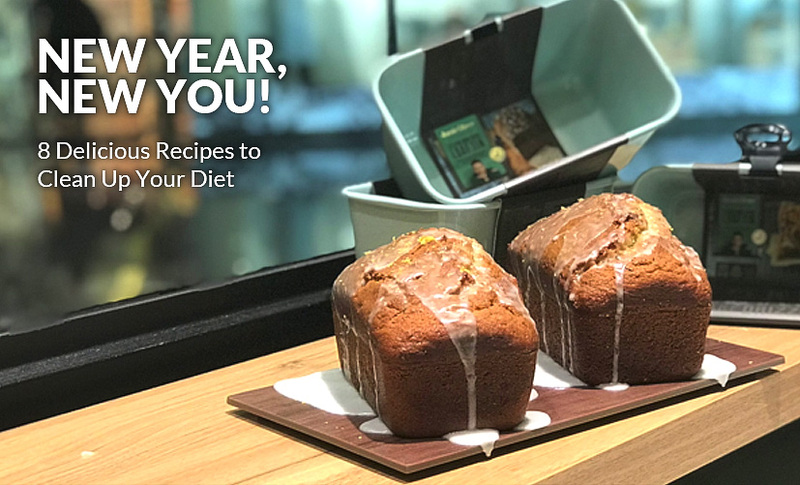 If healthy eating is one of your priorities for 2018, check out these delicious recipes to play around with and make the most out of your clean slate of 365 days! Yes, you can get your veggie and fruit intake all in a dessert! 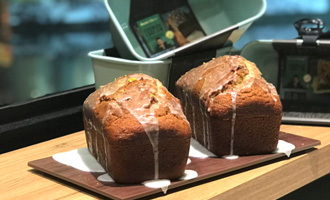 This classic zucchini bread recipe has a lemon bread twist to it, making it the perfect quick bread perfect for breakfast on-the-go, or a yummy tea time treat! Trust us – this tangy, moist recipe will be in your repertoire for years to come! Equipment used: Jamie Oliver Non-Stick Loaf Tin (1l). Buy online now on our Lazada or Redmart e-store! 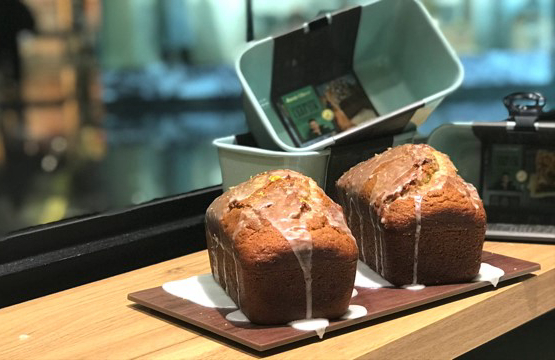 Desserts can be delicious and healthy with this Moist Organic Apple Cake topped with Toasted Pine Nuts by Chef Daniele Sarno! 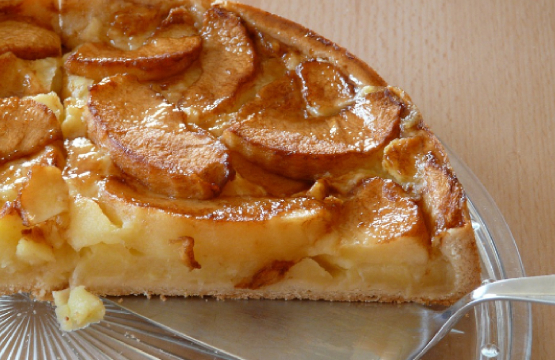 Serve this for a special afternoon tea or as a dessert! Equipment used: Jamie Oliver Non-Stick Loose Round Sandwich Tin. Buy online now on or Lazada or Redmart e-store! Ever heard of kefir? It’s a unique cultured dairy product that’s very rich in probiotics. The name ‘kefir’ stems from the Turkish word ‘keif’, which means ‘good feeling’! 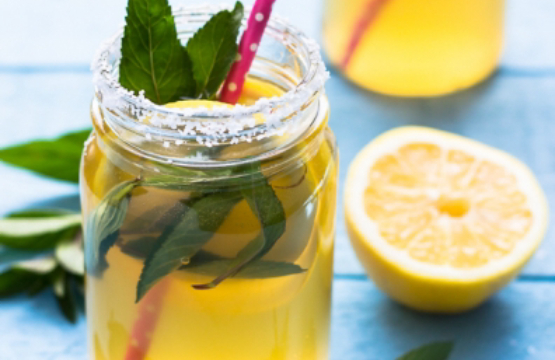 This refreshing drink has benefits that include boosting your immunity system, supporting your digestion and more. Try our Basic Water Kefir recipe – you can add in your preferred sweetener of choice (honey, agave, fruits) and tweak them to your liking! 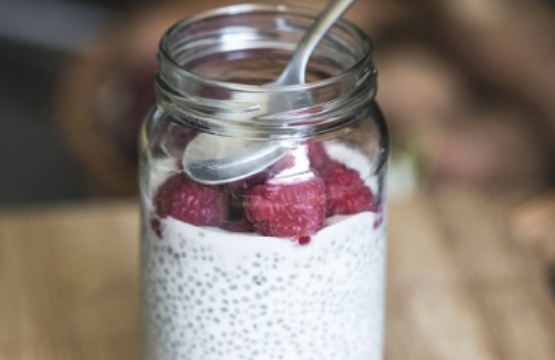 When overnight oats or a cup of yoghurt just won’t do, try a chia seed pudding! Chia seeds are a protein-packed superfood that’s great for breakfast, adding into your salads, beverages and even baked goods! Rich in antioxidants, try this chia seed pumpkin pudding – the sweetness from the pumpkin acts as a natural sweetener! Looking to power up your day? Then you should definitely check out our Strawberry Smoothie Bowl! Equipment used: Zyliss Stainless Steel Balloon Whisk. Buy online now at our Lazada or Redmart e-store! Looking for the perfect prepare-ahead breakfast option for your busy work days? 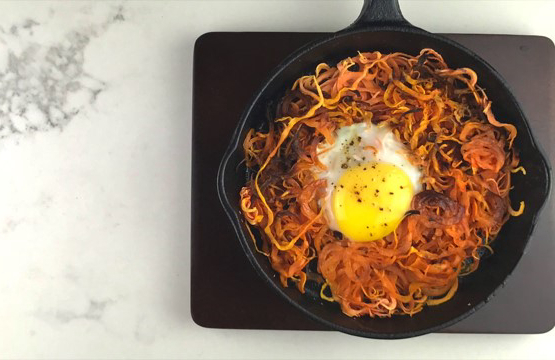 Look no further than these simple 2-ingredient Sweet Potato Baked Egg Nests! It looks fancy, but trust us – this one is super simple! All you have to do is shred a few sweet potatoes, nestle them into a muffin tin, crack an egg inside and into the oven they go! They’re the ideal grab-and-go protein-packed breakfast! Equipment used: Westmark Spiromat Vegetable Slicer. Buy online now on our Lazada or Redmart e-store! Keep yourselffull till lunch with this nutritious breakfast boost! Delicious, creamy avocado serves as a great alternative to butter, and goes perfectly with a runny poached egg – mop up the yolk with your toast for a satisfying end to an already tasty breakfast! 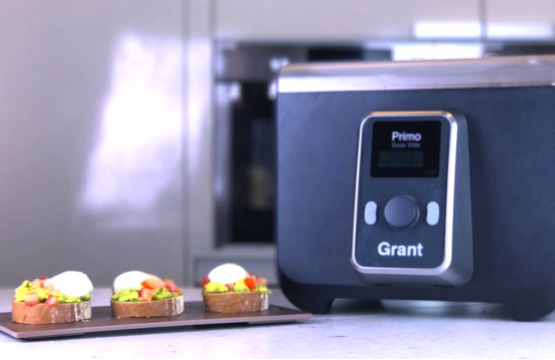 Switch up the toast to sourdough, rye, multigrain bread – whichever tickles your fancy! 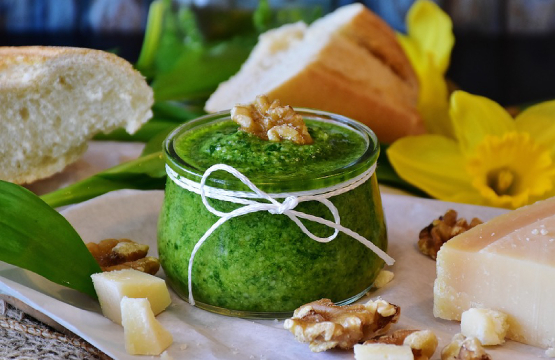 Who knew that you could switch up basil with broccoli for a delicious pesto recipe! This Roasted Broccoli Pesto tastes amazing with pasta, as a dip, or as a sandwich spread! Prefer using basil instead? Try out our Pesto Pasta! This sentence is rather strange cos you wanna promote your broccoli peso righ then why you ask them prefer using basil ? Equipment used: Cuisinart Mini-Prep Plus Processor. Buy online now at our Lazada or Redmart e-store! Here’s one for the mid-day munchies! 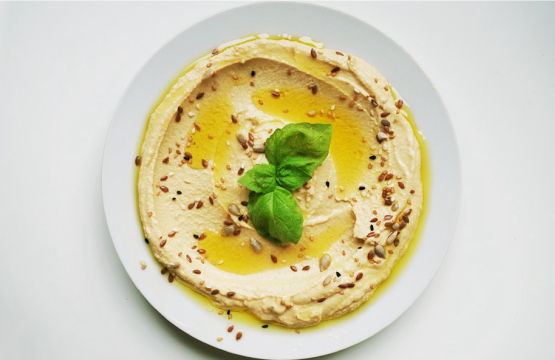 Throw out the chips and enjoy a healthy snack with Hummus and Flatbread! You can have the hummus with flatbread alone or even throw in grilled chicken and roasted vegetables for a healthy, balanced meal! Hungry for more? Check out our Healthy Yoghurt Bark, Easy Strawberry Smoothie Bowl and more delicious treats at our recipe page!